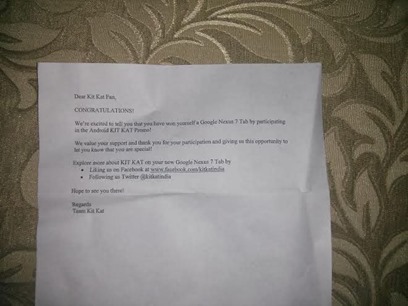 Android fans in India were happy to be included in KitKat's international Android 4.4 promotion and have the chance to get their hands on the 2013 Nexus 7. However, the prizes being sent out are not exactly as advertised. Instead of receiving the 2013 Nexus 7, winners in India are getting the old 2012 model. A multinational corporation not living up to its end of the deal? Surely you jest. 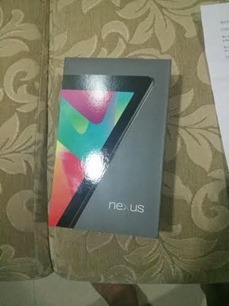 Winners of the Nexus 7 tablets in every other country were given the new Nexus 7, and those prizes mostly shipped out weeks ago. Only after a long delay did Indian winners get the brush-off with an old tablet. Several Indian sites have pulled together all the promotional materials used by KitKat India, indicating winners were promised "the all new Nexus 7 tablet." All the images were also of the 2013 model. There's also a Facebook group collecting user experiences. You can check all of that out for yourself, but suffice it to say this is at the very least disingenuous. Indian users have been contacting KitKat, which has been hesitant to respond. 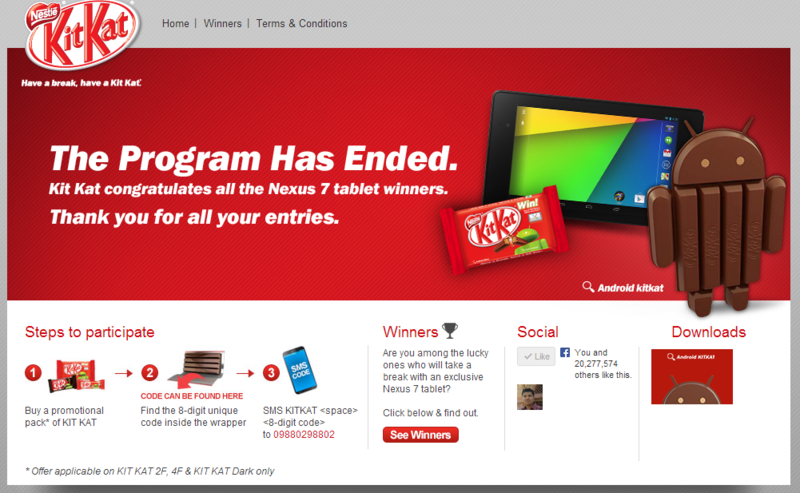 The KitKat India Twitter account has also tried to calm the storm with a pretty lame excuse, as seen below. You can certainly make the argument that it's a free tablet and folks shouldn't complain, but this is pretty clearly not what the contest promised. 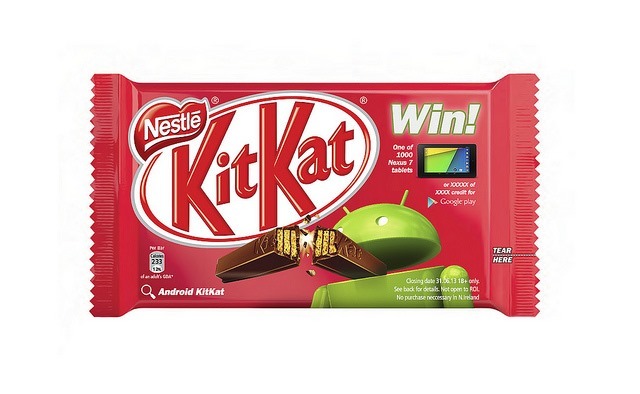 Just ask yourself, would KitKat have tried to get away with this in the US? Of course not.